Happy Labor Day Weekend This Last Day Of August! Mornin'! Blog's a bit late this morning as errands came first due to the holiday weekend now upon us. The island's filling up quickly and I needed milk, eggs and a watermelon (to name a few things). Well, this is it August...a hottie that you were...thanks for a steamy, fun summer! Until next year! It's 79° in Wildwood NJ. It's cloudy and overcast with Ms Sun trying to shine through the early morning rain clouds. We had a mild thunderstorm with rain showers on the overnight/early morn and everything's damp and watered. It's still very humid (95% humidity / 72° dewpoint). Not much in breezes (Southerly 3-5mph). Expect scattered rain showers and/or thunderstorms throughout the day today (20-60% chance). It'll be mostly cloudy with peeks of sunshine along with humidity. Temps will get into the mid-upper 80s. Breezes will be a little stiff out of the East at 15-20mph. Tonight...partly cloudy with temps in the mid-upper 70s and breezes out of the SE at 8-10mph. Tomorrow begins with clouds and chances of rain and/or thunderstorms but should develop into a partly sunny day. For now, it appears that Sunday will begin with the same as tomorrow and turn into a mostly sunny day. 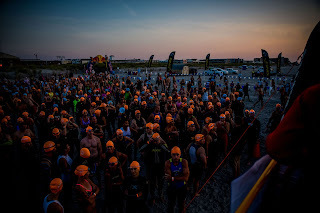 ~Remember to pack water, hat, footwear, towel, sunblock, insect repellent, and shade (umbrella or sand chair with a canopy). If packing an umbrella be aware of wind speed as you may have to take extra steps to secure it such as sand (screw) grabber or bungee cord. It's pretty amazing how not secure some umbrellas can be as the wind launches them directly toward you. ~Remember to pack headphones for your music device or at least keep the volume down to a minimum (believe it or not no one wants to hear your music not to mention your beach neighbor might be quietly trying to listen to their own music). 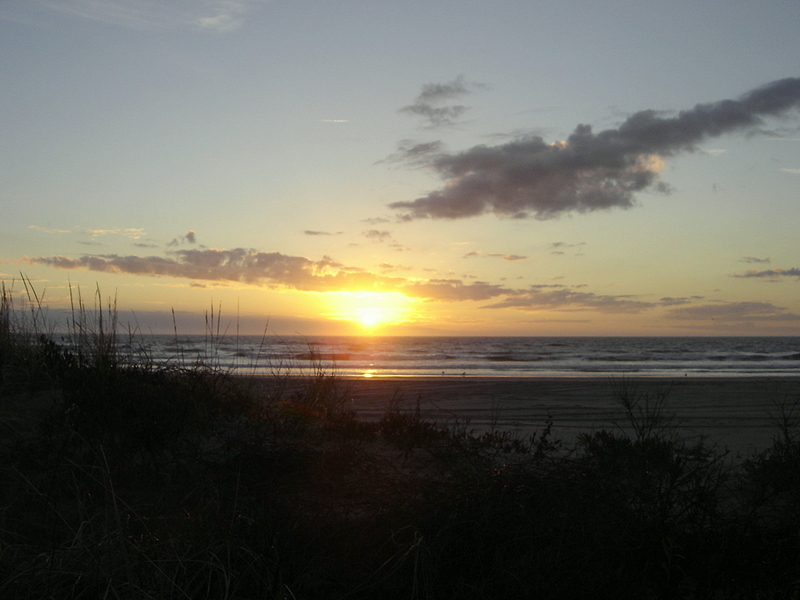 ~Kindly give your beach neighbors space when selecting your beach campsite. Courtesy is key. Careful not to plop only inches from others' blankets/umbrellas. ~Teach children some beach etiquette. Running (basically "kicking") and dispensing sand nearby others as well as throwing sand is a no-brainer but sometimes you'd never know it. ~Playing ball, frisbee, horseshoes, corn hole, or kite-flying etc is a no-no at the beach. I mean on the back side of the beach (dune side) or other designated areas are more appropriate for active beach games. Stay away from those camped out that are simply trying to enjoy their quiet, relaxing beach day. The beach patrol will probably stop you if playing in the wrong area anyway. ~Observe and follow posted beach warnings (closed beaches, no alcohol, strong rip currents, surfboard/boogie board area etc) and always pay attention to lifeguards. If in doubt...ask the lifeguard. ~Here's a new one...how about use of profanity? This week a family with a teenage son shouted the "f" bomb repeatedly throughout the entire day while his mother repeatedly said, "Watch your mouth." He simply responded to her as though she wasn't even there. But all those beach-goers camped around them surely were! I just don't get it. Mornin'! It's 79° in Wildwood NJ. It's sunny and muggy with that summer hazy, warmth outside. Humidity's dropped just a bit to 86% with a Dewpoint of 76°. Hardly a breeze out there but it is out of the NW at 3-5mph. It'll be another day on the heatwave train with temps just tapping 90°, hazy-sunny conditions and breezes out of the W-NW at 7-10mph. Tonight...some clouds begin to roll in as there's a 40% chance of rain showers and/or thunderstorms. Temps will drop back into the mid-upper 70s with breezes out of the SW at 4-6mph. Also, tonight will begin a stretch of unsettled weather as all forecasts are saying there will be a possibility of intermittent rain showers and/or thunderstorms up until Sunday. For today though...another beach day! Get the beach bag checklist out and make sure you pack insect repellent for those Westerly breezes. Checklist items...footwear, sunblock, hat, umbrella and plenty of water. Mornin'! It's 78° in Wildwood NJ. Here goes that "hazy, hot and humid" weather day again. It's thick and really warm outside. Humidity's 93% with a Dewpoint of 76°. It's hazy as Ms Sun's doing what she does to get through it. It'll be the warmest day so far this week with temps in the low-mid 90s feeling like 101° heat index. Breezes will be warm ones from the SouthWest at 9-11mph. Tonight...warm and hazy with temps down into the low 80s and breezes still out of the SouthWest at 9-12mph. Tomorrow...more of the same but not "quite" as warm as today but really warm and muggy just the same. Friday and Saturday are looking unsettled as thunderstorms are on tap. Sunday and Monday look A-OK but you know as well as I know that anything could change. For today...a beach day but don't forget to prepare and whatever you do...do not forget footwear as that sand will burn the crap out of your feet. Also when it gets hazy like this you don't usually feel the Sun's rays at the beach but...you're getting a major dose of sunburn without even feeling it if not wearing sunblock. "Haze" is dangerous because it keeps you cool near that ocean but is giving you the same amount of sunburn as a "deep blue sky" sunny day. Mornin'! It's 78° in Wildwood NJ. Ms Sun's up and shining through the humid haze. No breezes to note. Humidity's 90% with a Dewpoint of 76°. It'll be another hot one today with temps almost tapping 90° and those Westerly breezes (actually S-SW) at 9-11mph giving us a warmish southerly-land breeze. It'll be hazy, hot and humid for sure. Tonight...hazy, warm and humid with temps in the upper 70s and S-SW breezes at 9-13mph. Tomorrow...more of this heatwave and almost a replica of today! Keep that beach checklist on hand...plenty of water, footwear, umbrella and lots of sunscreen! And, as for the upcoming Holiday weekend...so far it's a mix of weather. Saturday looks unsettled with thunderstorms looming and Sunday looks like the better of the two days. Don't bet on the forecast this far away though. Bet on today...great beach day! Mornin'! It's 75° in Wildwood NJ. It's clear with no breezes to note. Summer's back as it's muggy and humid outside (humidity's 93% with a dewpoint of 72°). It'll be a warm one today with temps in the mid-upper 80s along with plenty of sunshine. Breezes will be out of the South at 7-8mph. Tonight...clear, warm and muggy with temps in the mid-upper 70s and breezes out of the SW at 10-12mph. Tomorrow...almost more of the same but some clouds in the mix. Mornin'! It's 70° in Wildwood NJ. Ms Sun's up and shining down. No breezes to note. No clouds in the sky. Humidity's low. It's summery and lovely this last Sunday in August. It'll be a lovely day with plentiful sunshine, breezes out of the S-SW at 8-10mph and temps in the low 80s. Tonight...clear and moonlit with temps in the low 70s and breezes kicking up a bit out of the S-SW at 15-18mph. Tomorrow...temps will be even warmer with just a smidgen of clouds thrown in but for the most part a repeat of today. Mornin'! It's 69° in Wildwood NJ. 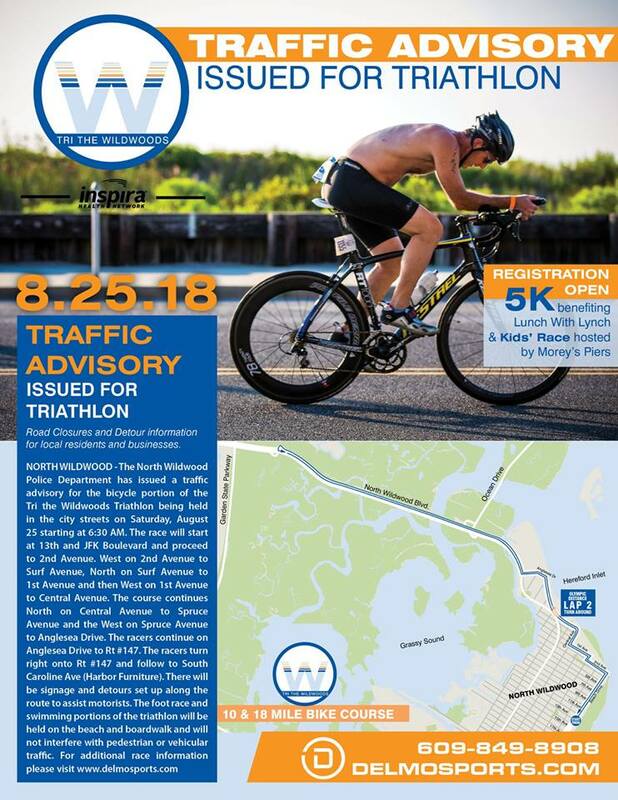 It's the Wildwood Triathlon this morning and it seems like perfect weather for it. We're under partly cloudy / partly sunny conditions with humidity at 71% and the dewpoint at 60° with no breezes to note. 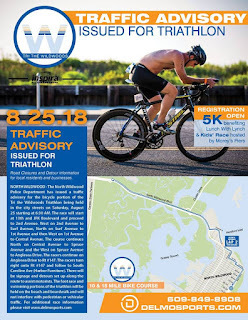 The Triathlon is underway in North Wildwood along the beach check out the webcam... at Webcams of the island. I thought today would be a repeat of yesterday (as all the forecasts predicted) but a repeat of yesterday looks like it'll be tomorrow; not today. There are a lot more clouds in the mix (no rain) today than originally reported as it'll be a partly cloudy one with temps just about tapping 80° with breezes out of the E-SE at 6-9mph. Tonight...cloudy with temps in the low 70s and breezes out of the SE at 4-7mph. Tomorrow...a sunny, warm, cloudless day as the humidity's going to climb up a bit again. I'm not seeing rain until late next week at this point. Good luck today athletes! Full moon is tomorrow. Expect higher than normal tides and a moonrise at 7:30p.m. tonight! Mornin'! It's 66° in Wildwood NJ. It's an Autumn-Like morn with low humidity (75%) and dewpoint (61°). 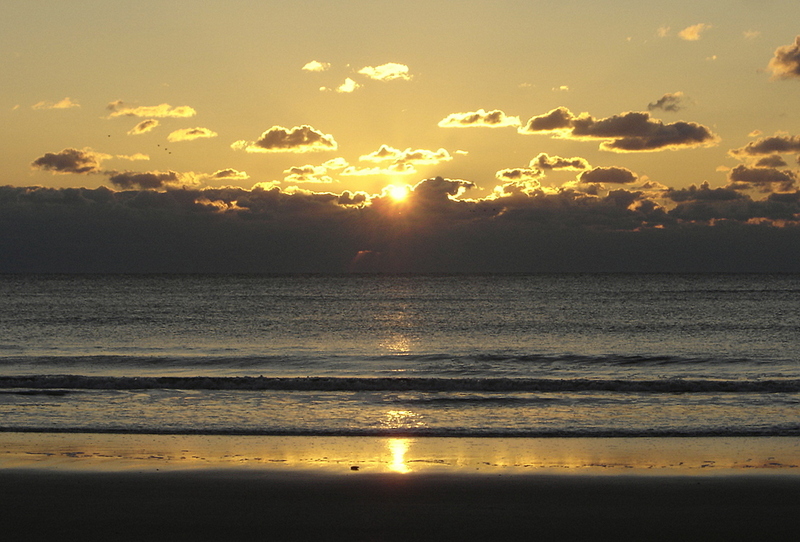 Ms Sun's up and shining down with hardly any breezes to note (N-NE 2-4mph). It'll be a "keeper" today with plentiful sunshine, breezes out of the E-NE at 4-6mph, and temps tapping 80°. Humidity will be way down again too. Tonight...clear, with temps in the upper 60s / low 70s and breezes out of the SE at 7-9mph. Tomorrow...more of the same. Sunday...more of the same. Life is good down the Shore! Mornin'! It's 69° in Wildwood NJ. It's clear and starlit (Sunrise is in about an hour from now). What a pleasant change when stepping outdoors this early morn! It's cool and comfortable outside. Humidity's 76%, the Dewpoint is 63° and there's a cool NW breeze at 10-15mph. And, other than the tree leaves rustling and the distant sound of the waves crashing onshore in that breeze, there's not one air conditioner humming in the neighborhood this morning. What a lovely surprise to feel such cool air and hear the ocean again. It looks like a winner for today's weather. In fact, we could have near perfect weather right up until this time next week! Expect plenty of sunshine today with temps just tapping 80° with the low humidity continuing. Breezes could be like yesterday...a bit stiff out of the N-NW at 10-13mph. Keep the insect repellent (for those greenhead flies) and the bungee cord (for anchoring those beach umbrellas) close at hand if heading to the beach. Tonight...clear with low humidity and low temps again (upper 60s) with those NW breezes continuing at 5-10mph. Oh and by the way, we're coming up to the next Full Moon (this Sunday the 26th) as the high tides are just beginning to be higher than normal. Mornin'! It's 76° in Wildwood NJ. It's sunny and breezy (W-SW 12-16mph) with humidity still up there (90%) and Dewpoint at 74°. It'll be a pleasant hump day with mostly sunny skies (some clouds in the mix) and a 20% chance of rain and/or a passing thunderstorm this afternoon. We did have some thunderboomers and rain late last night into the overnight so everything got watered! If you see today's blue sky looking ominous...check the doppler. I'm going with a pleasant mostly sunny day, humidity will drop some, temps in the low 80s, and breezes out of the West at 12-15mph (pack the insect repellent if heading to the beach and probably a bungee cord too for your umbrella). Tonight...mostly clear with temps in the low 70s and breezes out of the W-NW at 8-10mph. Tomorrow...more of the same. At this time, the weekend's looking lovely. Mornin'! It's 74° in Wildwood NJ. It's cloudy and breezy (SE 8-12mph). The humidity's lower at 83% with a 71° dewpoint. It'll be mostly cloudy again today with a 40% chance of showers throughout the afternoon. Ms Sun will do her best to peek through from time to time. Breezes will remain out of the SE at 12-15mph as temps climb just a tad to the upper 70s/low 80s. Tonight...remaining cloudy with a 60% chance of scattered rain showers and/or thunderstorms. Temps will hover around the low-mid 70s while the humidity rises to 93% and winds shift to the S-SW at 10-12mph. Sorry to report that all forecasts are saying tomorrow will be more of the same. Footnote: 12:45p.m. It's definitely "not" more of the same as Ms Sun's been out and shining in a deep blue sky for several hours now. Who knows what the rest of the afternoon and evening bring. Mornin'! It's 71° in Wildwood NJ. It's cloudy. Humidity's 86%, Dewpoint of 70° and stiff breezes out of the E-NE at 15-20mph. It feels much cooler and comfortable this morning when stepping outside. It definitely has that touch of Fall in the air. It'll be a mostly pleasant day (albeit breezy) with a cloudy start and a 30% chance of a rain shower this morning. Ms Sun will only be peeking in throughout the day and by late this afternoon / early evening will take over what's left of the day. Temps will barely tap 80° as E-NE (15-20mph) stiff breezes are staying checked in until tonight (8-10mph). Tonight...mostly cloudy (20% chance of showers) with temps in the low 70s. Tomorrow...more clouds with the possibility of rain by the afternoon. It looks like our next really nice weather day is Thursday. Our "high" season has begun to shift a bit as the last 2 weeks of July and first 2 weeks of August are what I call "packed to the gills" season and it's ending now. This week will begin that shift as many college kids have left or are now leaving for the start of their new school year. Then, the real "Shoobies" (the families that live here all summer with children) begin to pack it in as they start their hiatus home to ready for school. The "new" families with tiny children come at the end of August for vacation. The retired old folk come after Labor Day and enjoy September for their vacations. Whatever way you look at it, the shift will begin this week as Wildwood's made it through another thick, intense summer (high) season. This morning's weather certainly has that feel too...Autumn's just around the corner...33 days. Mornin'! It's 74° in Wildwood NJ. Soggy Wildwood NJ that is. We had a nice dumping of rain throughout the night; with good thunder and lightning storms. Hubby and I spent most of the day yesterday trimming back the gardens and trees and the moment you step out onto the back porch this morning, the aroma of our freshly cut tree branches hits the senses as it mixes with that salty briny sea air. So all that trimmed and pruned shrubbery (including my nicely saturated Jasmine and Lavender plants) give off, even more, Sunday fragrant loveliness. Inside...the grits and sausage are on! How about today's weather? It's currently soggy and cloudy. Ms Sun just broke through but for only a couple minutes. She'll be doing that all throughout the day. It's gray and humid and thick out there. Humidity's 96% and the Dewpoint is 74°. No breezes to note. Expect a mix of clouds and sun today as temps stay lower than as of late barely tapping 80° and breezes out of the N-NE at 15-20mph w/gusting (you'll definitely need to bungee the ol' umbrella today if heading to the beach and keep an eye on the doppler). The humidity's going to drop too (82%). There is a 30-40% chance of rain and/or thunderstorms this afternoon. Tonight...partly cloudy with temps just about where they are now (lower 70s) with NE breezes at 10-15mph. Tomorrow...almost a perfect repeat of today! Mornin'! It's 78° in Wildwood NJ. We've got some cloud cover this morning. It's warm and muggy out there. Humidity's at 91% with a Dewpoint of 71°. Breezes are light out of the W-SW at 4-8mph. Expect a partly sunny start to the day as Ms Sun will eventually shine through the cloud cover but will give way to a mostly cloudy day with temps in the mid-upper 80s and breezes out of the SW at 9-11mph. There's a 20% chance of rain showers. Tonight...cloudy with a 60-80% chance of rain and/or thunderstorms as temps head back to where they are now (upper-70s) with breezes out of the W-SW at 7-9mph. Tomorrow...looks like a wet and muggy Sunday with an 80% chance of rain and/or thunderstorms throughout the day and evening. Temps will only be in the mid-upper 70s! Mornin'! It's 75° in Wildwood NJ. It's sunny and warm with a very light breeze out of the SE at 3-5mph. Humidity's 84% with a Dewpoint of 76%. It'll be mostly sunny, hazy day (some clouds in the mix) with a high of 86°. Breezes will be out of the South at 10-15mph. Tonight...temps in the upper 70s with a 20-30% chance of a shower and/or thunderstorm. Breezes will be out of the S-SW at 10-15mph. Tomorrow...more cloud cover entering but chance of rain (45%) doesn't begin until the evening. Sunday...50-70% chance of rain. Mornin'! It's 75° in Wildwood NJ. It's warm and humid again. Ms Sun's up and trying to shine through the hazy, somewhat cloudy sky. Humidity's 85% with a Dewpoint of 73°. No breezes to note (barely there out of the W-SW). Expect a mix of hazy clouds and some sun today with temps near 90°. Those "westerlies" aren't going anywhere as winds will begin to wift (waft) over the island with a W-SW land breeze at 15-18mph. Pack the insect repellent just in case those greenhead flies pay a visit. And, prepare to anchor those umbrellas (bungee, sand anchors) as those stiff, warm, land breezes will have their way with you, your beach blanket and your umbrella. In case you didn't know, Wildwood's beach sand is like powder...very soft and light. And, if it's a land breeze day (West winds) out there...prepare to deal with that bad boy. Tonight...partly cloudy, breezes out of the S-SW at 15-20mph with temps in the mid-70s. Tomorrow...pretty much the same. The weekend...Saturday's looking like the better of the 2 days which isn't anything to write home about. Mornin'! It's 73° in Wildwood NJ. No breezes to note. Humidity's way down...79% with a Dewpoint of 70° making it feel pretty shocking after a long stretch of warm and humid conditions these past summer mornings. It actually feels like Autumn is peeking in just a tiny bit and is feeling lovely...a nice change. The skies are clear (except for a horizon group of clouds obscuring Ms Sun who is headed our way for the day). It'll be sunny and warm with temps in the low-mid 80s, low humidity, and breezes out of the West at 10-12mph. Lots of West winds this week (keep that insect repellent close at hand) as those Westerlies bring the biting greenhead flies. Tonight...more loveliness...clear and mild...low 70s with breezes out of the W-SW at 10-12mph. Tomorrow...more of the same. As for the weekend, it's a bit early to say for certain, but Saturday's looking better than Sunday. Mornin'! It's 72° in Wildwood NJ. It's a lovely morning with a little partial cloud cover making a lovely, colorful sunrise. It's breezy...S-SW winds at 5-10mph. It's less humid...Humidity's 85% with 71° Dewpoint. It'll be mostly sunny today (at least until late afternoon / or around dinner time) with temps in the low 80s and breezes out of the W-SW at 8-11mph. The clouds will filter in today as there's a 40% chance of an isolated shower and/or thunderstorm later this afternoon into this evening. Tonight...scattered showers, mostly cloudy, temps in the low-mid 70s and breezes out of the West at 9-11mph. Tomorrow...sunny and dry. It seems that every day this week those "West" winds are in the forecast so pack that insect repellent for the greenhead flies just in case. I had yesterday's forecast wrong as I kept hearing rain and flooding in Philly and the surrounding Philly area and suburbs thinking it's heading our way but we had hardly a cloud in the deep blue sky. Go figure. Mornin'! It's 76° in rainy Wildwood NJ We're having a rain shower at the moment with no breezes to note. Humidity's 91% with a 71° Dewpoint. 50% chance of rain today (some sunshine in the mix too) but for the most part it looks like a cloudy day. Some rainfall could produce heavy downpours with minor island flooding. Temps will be in the low-mid 80s with breezes out of the NE 6-8mph. Tonight...30-40% chance of rain showers with temps back into the mid-70s and breezes out of the W-SW at 5-8mph. Tomorrow...chance of some morning and evening showers but a nice day overall. FOOTNOTE: It turned out to be a sunny, blue sky kind of day! Wish I had planned accordingly. Mornin'! It's 72° in Wildwood NJ. Humidity's still high at 95% with a Dewpoint of 72°. It's "thick" outside. We're under partly cloudy skies with Ms Sun doing everything she's got to break on through. We have very light breezes out of the N-NE at 4-6mph. It'll be partly sunny / partly cloudy today with breezes out of the N-NE until around noon when they switch to the S-SE all at 4-6mph. Temps will be in the low-mid 80s with a 30-40% chance of a passing shower and/or thunderstorm more like after mid-day. Tonight...partly cloudy (chance of rain 30%) with temps in the mid-70s and breezes out of the N-NE at 3-5mph. Tomorrow...almost a repeat of today. I'm going with thumbs up for the North Wildwood 44th Annual Flea Market along JFK Boulevard from 8-4 today! Mornin'! It's 77° in Wildwood NJ. It' overcast and cloudy at the moment with very light breezes out of the SE at 3-5mph. Expect a mix of clouds and sun this morning as we head into a mostly cloudy day (I'm going with peeks of sun throughout the day). There's a 20% chance of showers today. It'll feel warm and humid with sun or no sun as the humidity's 80% with temps in the mid-upper 80s and breezes out of the S-SE at 10-15mph. Tonight...60% chance of rain showers and/or thunderstorms with temps in the mid-upper 70s and breezes out of the South at 5-8mph. Tomorrow...pretty much the same with a 30-50% chance of showers and/or thunderstorms with a good chance of those rain clouds clearing out by the afternoon. Remember that "New" moon... it's been causing tidewater to seep into our streets all over the island. It's amazing how the moon controls it, but that salty, corrosive "tidewater" should be avoided and not driven through as it's harmful to the underside of your vehicle. Unless of course, you have the ability to get under there and completely hose it down. It is done here. To get off and on the island during the high tides...using North Wildwood is your best bet for less street flooding but stay on New Jersey Avenue for traversing across the Wildwoods...less street flooding likely there too. And, also notice that the "low" tides are lower than usual as well. Lot's of mucky marsh exposed at low tide not to mention the beach looks much bigger. I'm Going With A "10" For Today's Beach Day! Mornin'! It's 77° in Wildwood NJ. It's sunny with hardly a breeze. It's less humid as the Humidity's 82% with a dewpoint of 73°. It's still sticky and pleasantly smelly with that ol' briny, fishy aroma on the island. It looks like we're about to have a near perfect summer day down the shore with plenty of sunshine, temps in the mid-upper 80s and Southerly breezes at 6-8mph. Tonight...the weekend clouds begin to roll in as it'll be mostly cloudy with temps in the mid-upper 70s, 30% chance of showers and breezes still out of the South at 7-10mph. The weekend's looking "eh" with Saturday having a 20-40% chance of rain showers and/or thunderstorms and Sunday 40-70% chance. Monday's a repeat of today. The "New Moon" is tomorrow. The tides are higher with the Full and New moons. I noticed last evening on "high tide" that the waters were way up and much higher than they normally are. Don't drive through tidewater (it's like driving in the salty, corrosive ocean and not good for the undercarriage of your vehicle). And, the back bay water has a high tide that's one hour later than the ocean's high tide...just an fyi. And, it's Friday so the Beach Tips are up next but so far this summer I'm not seeing a lot of courtesy on the beach. Mornin'! It's 76° in Wildwood NJ. Ms Sun's up. Some light cloud cover this morning. No breezes to note. The Humidity's a bit lower at 87% with a Dewpoint of 73°. It's a hazy, warm, summer morn. It's what some would call "stinky" outside as the aroma of the marsh is heavy in the morning air and that lovely fishy fragrance hits you the minute you step out there. I personally like that smell as it always reminds me of the drive to our vacation and that area around Tuckahoe / Corbin City area when my father would yell out "Smell the shore" as the briny/fishy wildlife area would filter into the car and we knew we were almost down the shore. I'm not sure if we'll have this fragrance throughout the day (it was here last night) but we will have a heavy, hazy, sunny, hot day again. Temps will feel like we're in the 90s with W-NW warm land breezes wifting (wafting) over the island at 10-12mph. Today looks like one of those days that the afternoon sea breeze will not kick in as the NW breezes are sticking around until tonight. Tonight...clear and hazy with temps back into the mid-upper 70s (it was 80° last night at 10p.m.). Tomorrow...more of the same but that sea breeze looks like it'll kick in by the afternoon. The weekend...30-40% chance of showers both days. That certainly doesn't mean a washout but a beach day may not be likely. Remains to be seen. For today though...remember the insect repellent. Those warm land breezes do bring with them the greenhead (biting) flies. Also, it'll be really hot on the beach today...prepare and pack accordingly...umbrella, footwear, hat, plenty of water, sunblock...you know the drill! Mornin'! It's 81° in sunny Wildwood NJ. The blogs a bit late as the ol' sleeping patterns have been off a bit as of late. I feel like I lost most of this morning as I slept it away. My bedroom room darkening shades help hugely too keeping me in the dark because Ms Sun's up and heating the island as I type. It looks like another scorcher today repeating yesterday's weather with mostly hazy, sunny skies (some clouds in the mix) as temps climb into the upper 80s / low 90s. Breezes are very light at the moment out of the West at 4-6mph and will kick up just a bit at 6-10mph from the S-SW. Tonight...more clouds roll in as the temp drops into the mid-upper 70s with SW breezes at 8-10mph and a 50% chance of rain showers and/or thunderstorms. Tomorrow...a repeat of today. Things to pack for the beach: water, sunblock, insect repellent, umbrella, hat and footwear. Mornin'! It's 75° in Wildwood NJ. It's still cookin' out there with humidity at 91% and dewpoint at 74°. No breezes to note. We're going to have a repeat of yesterday with blue skies, plenty of searing sunshine, temps in the mid-upper 80s (feeling like the 90s) and breezes out of the S-SW at 8-11mph this morning and switching from the South by this afternoon. It'll feel humid and oppressive. But, there's always the beach! Once you're near the ocean, everything changes and things feel incredibly more comfortable and refreshing. Just being near the water and/or sitting under shade (boardwalk, umbrella, canopy, sand chair w/sunshade etc.) all make the experience of a "beach day" pretty incredible and rewarding. Anyway, it'll be one of those days today. So far this week, it's been near perfect even with the summer heat. Tonight...clear with temps back into the mid-70s and breezes out of the S-SW at 13-15mph. The overnight into Wednesday morning may produce some showers and/or thunderstorms (30% chance). Mornin'! It's 77° in Wildwood NJ. It's another warm and muggy one this morning. Ms Sun's shining brightly, Humidity's 90% and Dewpoint is 75° with no breezes to note. If you jog or bike...do it now (or later when the sun's almost down) as this humidity will knock you down. It'll be a mostly sunny day with plenty of hazy, hot, and humid weather on tap. Temps will be in the mid-upper 80s with breezes out of the S-SW at 7-12mph. There's a 15% chance of a passing shower and/or thunderstorm this afternoon but that percentage is so low that I doubt if we'll see any of that today. If you see clouds building around you and they look threatening...check the doppler on your phone's weather app and take cover if a storm is approaching. My bets are on "no rain today". Tonight...clear with temps in the mid-upper 70s and breezes out of the S-SW at 8-10mph. Tomorrow looks like a repeat of today. Oh...I don't want to forget those "beach day reminders"...pack insect repellent for the biting "greenhead" flies as they come with any "westerly" breezes (none yesterday I'm happy to report), pack plenty of water, footwear (the sand will scorch your feet), a hat and an umbrella is just the ticket! Mornin'! It's 77° in Wildwood NJ. No breezes to note. It's bright and sunny with humidity at 90% and dewpoint at 76°. It's feeling pretty warm out there. We're up for a hot, steamy one today with sunny skies, temps in the upper 80s (we may tap the 90° mark) and breezes out of the W-NW at 5-7mph. By this afternoon, they'll switch up a bit from the SW at 5-7mph. Pack the insect repellent. Tonight...clear, mid-70s and S-SW breezes at 10-12mph. Tomorrow...more of the same. Happy 5th Birthday To My Grandson! Mornin'! It's 75° in Wildwood NJ. About an hour ago we were getting a sprinkling of rain and now Ms Sun's breaking through and trying to shine down. Everything's wet and my herb garden is making its lovely presence known. It's humid 91% humidity with a 74° dewpoint. There's a very light breeze out of the South at 3-5mph. It's a really nice morning. So, this unsettled (possibly rainy) Saturday looks like all weather reports coming in are now changed up a bit. I thought it might be a washout but nada. I'm going with the majority...somewhat cloudy / somewhat sunny day with a 30% chance of a passing shower (could even be a thunderstorm) into this afternoon. As I've repeatedly said...30% chance is that you'll not likely see any rain but everyone's covering their butts in case we have a shower or two. My guess is that it will not be anything near a washout. Today will become increasingly clearer with less and less cloud cover until it's mostly sunny by early evening (perhaps a beautiful sunset). Temps will be in the mid-80s. Southwest winds are on tap...10-20mph. Tonight...clear, Southwest winds sticking around at 5-10mph with temps in the mid-70s. Looks like a beautiful night tonight. Tomorrow...clear and sunny with temps in the mid-upper 80s with (I hate to say it) West winds at 4-6mph. They will shift to Southerly by the afternoon though. But, just to hear myself talk...any breezes/winds with "West" in it, the greenhead (biting) flies wift (waft) right along with that breeze toward the beach as they find our bodies delectable. Pack the insect repellent just in case. And, A very Happy Birthday to my Grandson! He's my most blessed gift! Have a nice weekend! Mornin'! It's 75° in Wildwood NJ. It's sunny and a slightly bit breezy (SW 9-11mph). Humidity's still out there - 95% with a Dewpoint of 75°. It's heavy with moisture as Ms Sun's beginning to shine down and heat it all up again today. We've been having a stretch of warm, humid, hazy, summery conditions as of late and today won't be an exception. We never had the rain the forecasters reported for the overnight/morning. Todays we might see showers and/or thunderstorms (20% chance) but for the most part it'll be partly sunny with temps in the low-mid 80s and a Southerly breeze at 10-14mph. Tonight...a slight chance of showers on the overnight (30% chance) with the Southerly breeze kicking at 13-17mph. The weekend still looks 50-50 with tomorrow bringing the 60% chance of showers and/or thunderstorms before the afternoon and 20% later in the day/evening. It looks like Sunday will be a beauty. Before I print out my Friday Beach Tips and Beach Etiquette, I have to report that yesterday's beach day was one of those beautiful, refreshing beach days but with a very stiff breeze (off the ocean winds) all day long which helped propel those beach umbrellas not anchored well enough. Unfortunately, those umbrellas were headed in my direction as I prefer to sit as far from the water (and crowds) as I can. It's really scary especially when 2 women were impaled by beach umbrellas last month along our east coast making national news. Securing umbrellas is a must when it's that breezy. If you're not sure how to keep your umbrella fixed and stable...ask someone for help or don't put one up. When it's as windy as yesterday, walking/running right by folks camped on their blanket and/or chair as they're showered by your thoughtless close proximity "kicking up sand" footsteps is more annoying than my teeth becoming gritty with sand! Also, let's talk about shaking your towels and blankets when it's that windy on the beach...well, we all have to deal with that fine white sand covering just about everything that's lying down in front of us...blankets, reading material, towels, beach bags etc. thanks to the wind. Of course, our natural reaction is to just grab that towel or blanket and give it a shake before replacing it back down for a clean, fresh spot to plant ourselves. At least look around first to see who nearby is being covered by the sand you're shaking off! And last but not least, on my walk back to the street yesterday, the beach in Wildwood Crest (near the dunes) was covered by cans and plastic bottles. I actually filled a plastic grocery bag to the top with all the trash I collected before heaving it in the nearest can. There is etiquette out there as you consider all those folks trying to enjoy their beach right along with you. Just be aware of your surroundings. I'm done ranting. Mornin'! It's 76° in Wildwood NJ. Ms Sun's up and at'em. Breezes are barely there out of the SW at 5-10mph. It's thick with humidity...90% and the dewpoint is 76° making it feel nice and tropical...and feeling exactly like Key West (my favorite vacation spot). It'll feel warm and humid all day as temps go into the low-mid 80s with humidity in the mid-upper 80% and plenty of sun shining down. It'll feel much like yesterday with some clouds in the mix this afternoon. Breezes will be out of the S-SW at 12-18mph. Tonight...more clouds roll in as it'll be mostly cloudy with temps back into the mid-70s, breezes out of the S-SW at 15-20mph and a 35% chance of rain showers late (around 10-11mph) as we may get rain showers throughout the night (40% chance). But, tomorrow looks A-ok as it appears it'll be a repeat of today. The weekend's still looking 50-50 with Sunday being the better of the two days. Saturday has a 50% chance of rain and so far it appears "daytime" only as the clouds will begin to roll out in the words of Joe Cocker "When the night comes". Brand New Month Dawns! Welcome August! Happy Hump Day! Mornin'! It's 77° in Wildwood NJ. Greetings August! Looks like a fairly decent day to welcome August to the weather menu. We're under some cloud cover as Ms Sun's waiting for her turn. Everything's wet and dripping with the humid air (humidity's 95% / dewpoint's 76°) as morning sunshine is about to break on through. There's a light breeze (SW 5-10mph). It'll be mostly sunny today with a 15-20% chance of a pop-up shower and/or thunderstorm. 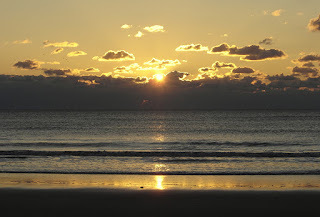 Overall, it looks like a decent weather (beach) day but a couple weather reports are forecasting a somewhat cloudy morning with a mix of clouds and sunshine this afternoon. It'll be warm and humid as temps get into the low 80s with breezes out of the SW at 13-15mph. Tonight...mostly clear and warm with temps in the mid-70s and breezes out of the S-SW at 16-22mph. The ocean will have 5-6 foot swells including dangerous rip currents. You might want to check with the lifeguards before entering the surf. For now, the weekend's looking 50-50 with Sunday being the better of the 2 days as Saturday's possibly "wet" during the day (not so much at night).